Mivar is an italian factory funded by Carlo Vichi in Milan, near to my house. Some times ago I've found a 1960 vacuum tube radio, the Mivar UCM/591. It's really a nice looking device to me. 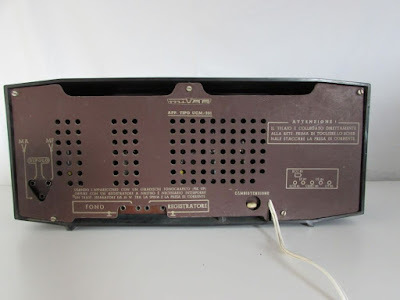 Unluckly something in this radio is broken, so I've try to fix it. 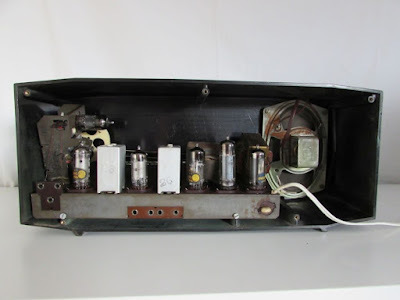 I'm not a vacuum tube expert, people from http://elettronialtramonto.forumfree.it/ helps me fixing this. 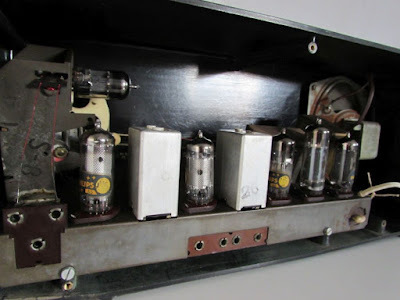 Electrons at sunset, is a forum and a site devoted to beautifull but outdated technology. 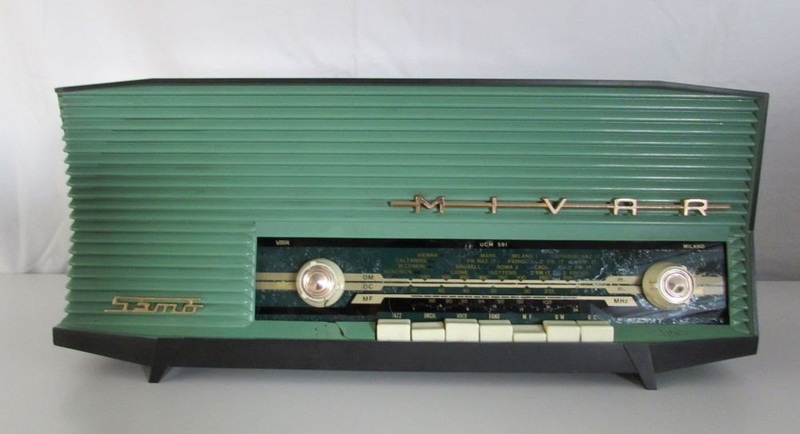 This radio has an annoying noise and whistle at low and high volume. 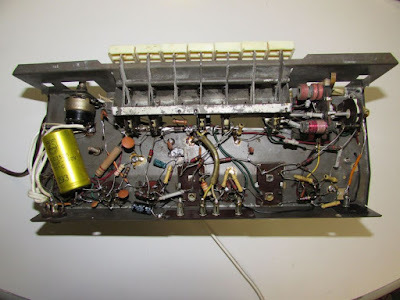 Before repairing a radio like this, keep in mind that it runs on high voltage, this device also is dangeros because of the power transformer type, that is an autotransformer. 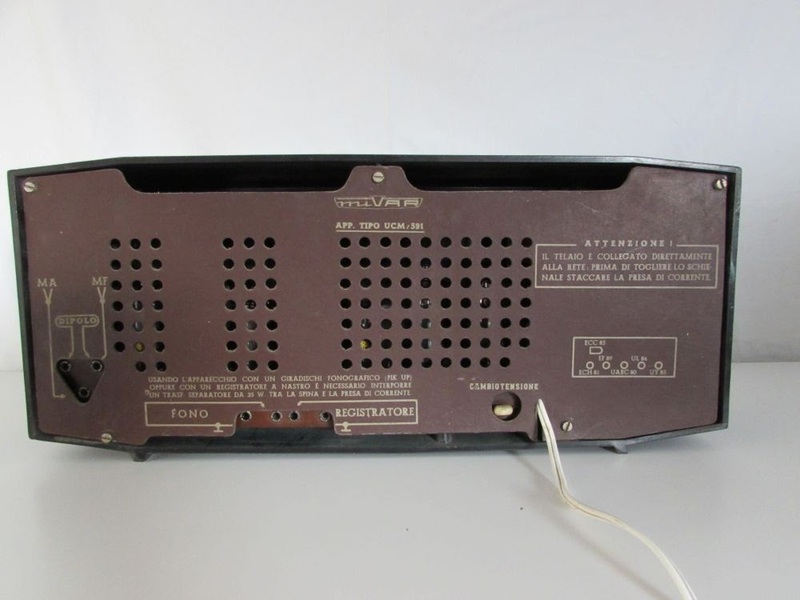 The case is connected to the main voltage grid, and no ground connection is provided. 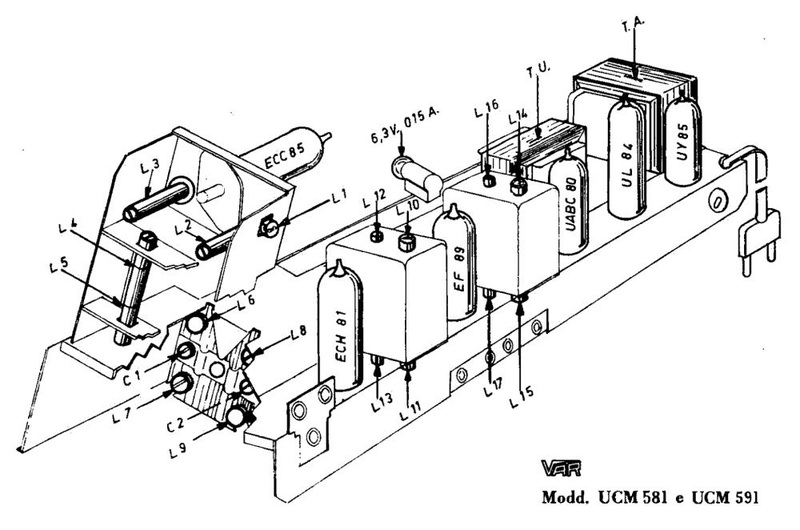 Autotransformer where usually installed on those cheap old radio. Pay attention to this is you are looking at an old tube device. 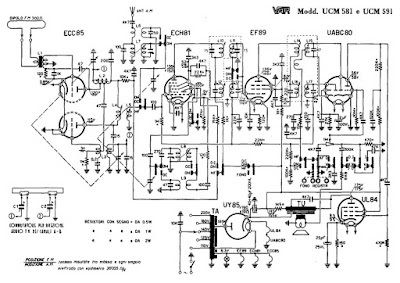 Below the schematics for this radio. After checking the circuit, the first noticeable thing is the cathode electrolic cap on the power amp tube (the UL84) damaged. I've changed it, but noise still exists. Checking things around UL84, I've noticed that the anode to ground cap (the 4k7 one) was missing. 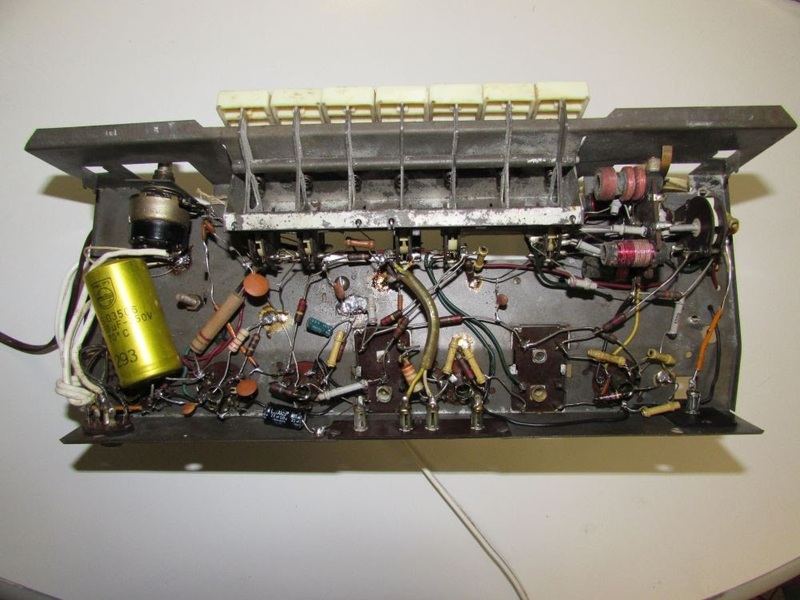 Likely this radio was repaired by someone that eventually forget that cap. Noise went down, but still is there. 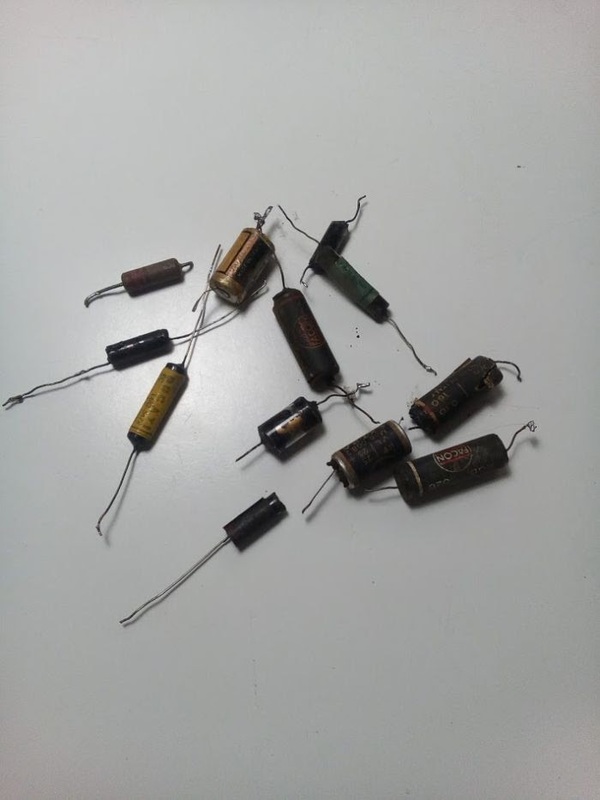 The next step was checking the cathode resistor, it was a 220ohm by color codes (even if the circuit I've found online list it as a 150ohm one), but it meausre more than 500ohm, I've replaced it. At this stage noise was almost gone, voltage on the UL84 grid is now 12.5V, but there's still an high whistle on low volume. Checking all the paper caps I've found that none of them is in range. Some are up to 300% out of their nominal value. I've to replace all (almost a dozen). Paper cap where replaced by disk ceramic caps, cause i do not have old stock paper caps, electrolitics cap where replaced by new one. I've try to install caps from old device I've here in my junk box, just to mantain the old look of this device. 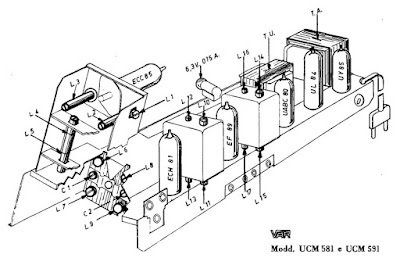 Below a picture of the defunct components. 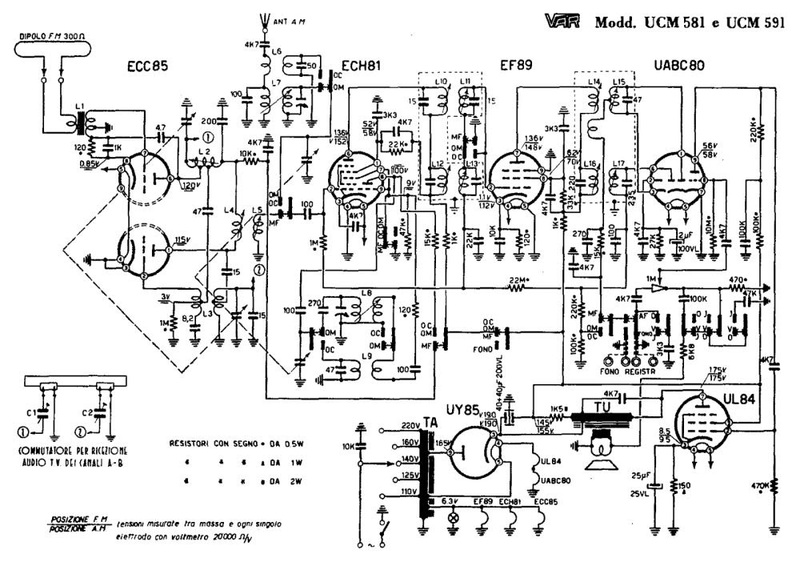 I've tested it, voltages are next to the schematics one, now all is working. So, thanks again to people from elettronialtramonto that helps me. The repaired board looks like the picture below.